How’s This For Colorful Foodporn? 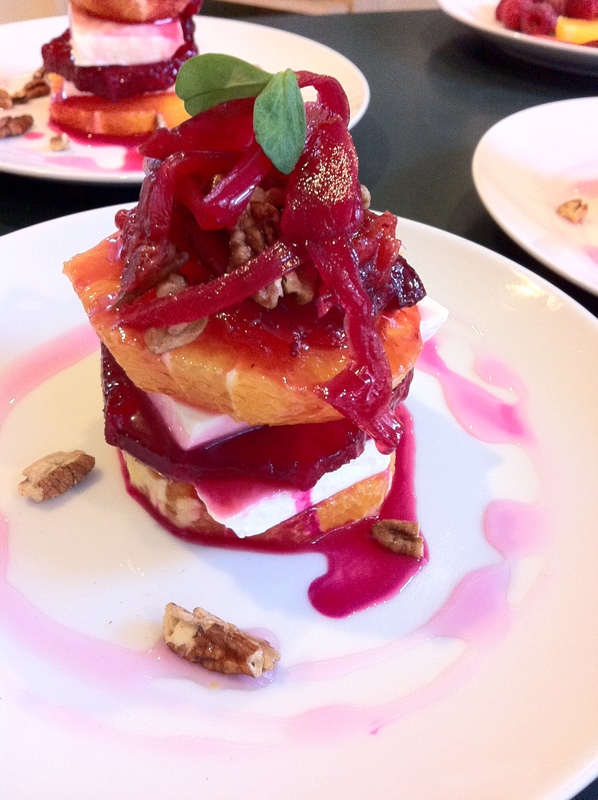 Layers of vanilla panna cotta, orange slices, candied fennel in St. Germain and beet simple syrup, oranges macerated in the beet syrup, orange cranberry relish and pecans. Sound good? It was certainly fun to create!